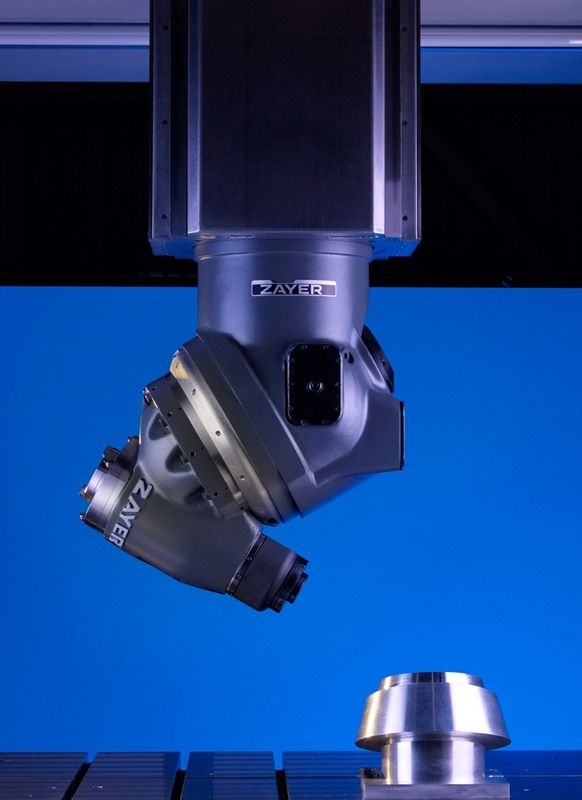 It is a two CNC axis controlled head that can work in 5 axis machining both positioning and continuous. The arrangement of the two axis allows to machine in negative angles up to 30° with regards to the ram. This head will be installed in the machine exhibited, a Gantry type machining center, NEOS model, also it will be provided with direct outlet head, both heads at 6.000 min-1 and 43 kW. Travels X: 5.500, Y: 3.000 y Z: 1.500 mm. Table 5.000 x 3.000 mm. Rapid feeds 50 m/min.